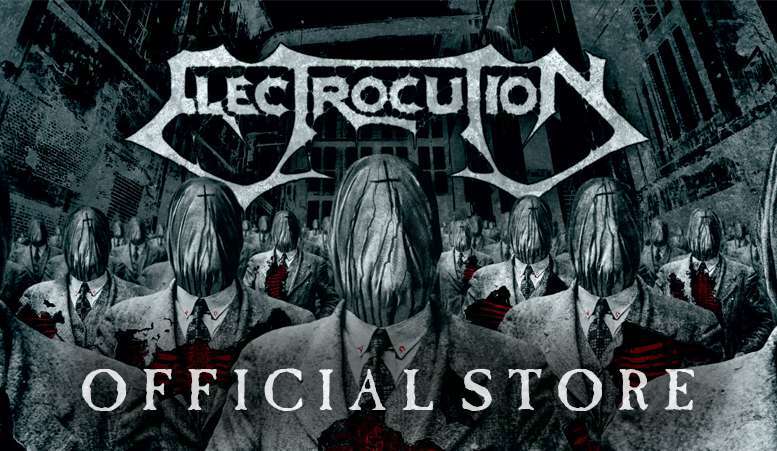 Electrocution reached cult status in 1993, for their acclaimed album "Inside The Unreal", currently one of the most wanted death-metal records, with fans and collectors all over the world scanning stores and the internet in search of rare copies. Formed in 1990 by singer/guitarist Mick Montaguti, Electrocution went through a few changes before reaching their best known line-up featuring Alex Guadagnoli on guitar, Max Canali on bass, Luca Canali on drums and Mick Montaguti on vocals/guitar. Through 1991 and 1992 the band released 2 demo-tapes that quickly set them apart for their impressive instrumental and songwriting skills. Their second demo, "The Real Doom" got them signed with Rosemary Records (Contempo/EMI) which released their debut full-length "Inside The Unreal" in the spring of 1993 (recorded in November 1992). The album was an instant success in sales and the buzz around Electrocution dramatically increased after their memorable live performances on tour with such bands as Death, Carcass, Benediction and Motorhead among others. "Inside The Unreal" was the first international, major distributed death-metal release for an Italian band and became a true milestone for fans and later inspired bands with its brutal and eclectic sound. In 1995 Electrocution evolved into a more experimental style and released a couple of 7" via Molten Metal Records. After a few line-up changes and a short period in the United States, the group officially disbanded in the beginning of 1997, just months before guitarist Alex Guadagnoli (who's also a singer and later charted producer) was selected for a studio-audition with Sepultura. Electrocution's original members were active in several projects during the last decade. After the signing with Aural Music Records for the 20th Anniversary reissue of "Inside The Unreal", Electrocution decided to reunite to work on a brand new album titled "Metaphysincarnation" which led the return of Electrocution on the Death Metal scene. This latest album, issued in 2014, has been reviewed all over the world with amazing words!